Car Shopping can be a terrifying experience. It’s overwhelming and if you’re not prepared one can feel a like a fish out of water. I’ve had the pleasure of going car shopping twice. When I went shopping for my first car my Dad came with me—although truly it was my Dad shopping and me just following along like a little duckling. I am almost positive I would have left without a car and utterly overwhelmed if my Dad had not been with me. The second time I went car shopping I took my boyfriend along. I knew I could handle the process, however I wanted him there as support. Turns out he ended up asking most of the important questions. I left with a car but once again I felt like I dropped the ball when it came to the process. Fast forward a few years and I now work at a dealership. I finally understand the process and its less daunting than I thought it was. I believe everyone should work at dealership at some point. However, we all know that’s not truly possible. 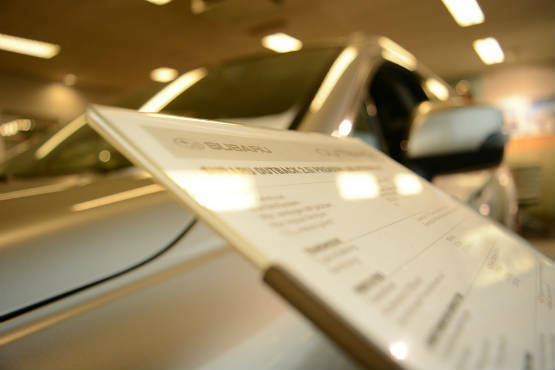 Therefore, I’d like to share a few questions you should ask when shopping for a used car. Hopefully this will aid you in your car shopping and make the whole experience less daunting. 1.Does this car have a clean title? This is the question you should always ask first. If the title is not a clean title and is a salvage instead think twice before getting this vehicle. There are situations when you have no choice but to get a car with a salvaged title. I understand that. However, if possible aim for a car with a clean title. Before I go on let me clear up a common misconception. Clean title does not equal accident free. Obviously clean title and accident free cars are the ideal. However, if the car has an accident and a clean title then the car could still be a sound investment. If the car has a clean title, it is functional and it still holds value. A clean title is the first go ahead. After ensuring the car has a clean title ask a couple more questions from our list and gather all the information to decide if this is the car you want. 2.Does this car have a warranty? This is a very important question for various reasons. Let me tell you a story. When I bought my first car I was just a poor college student. I was surviving off of food stolen from the school cafeteria. If I felt like treating myself I would go to a fast food place and order solely from the dollar menu. So you can imagine my horror when my caliper on my car broke. I had just paid for all my expensive textbooks and was down to mere dollars in my bank account. I was horrified trying to scrap up any money I could to pay to fix the issue. Want to hear the real kicker though? Turns Out I had warranty all along! That warranty was a life saver but and I was ecstatic, but can you imagine all the grief I could have avoided if I had known in the first place. So, do yourself a favor. Ask this question when you’re looking at cars. It can give you a great peace of mind. Don’t forget to ask how long the warranty lasts and what is covered! 3. Where was this car previously owned? Knowing where the car was previously owned will tell you a lot about a car. Was it previously owned in the northeast? Down South? A city? A rural town? Depending on where the vehicle was owned you can guess what type of wear the vehicle carries. If the Vehicle was owned in the city it probably has more slight body defects such as scratches than a car from a rural town would have. Ask where the car was previously owned and then decide if you are ok with the effects that might have caused that vehicle. 4. What type of vehicle was this previously? Was this a personal vehicle? A lease? A Rental? This is a very good thing to know. If you know what type of vehicle it was before, you can then infer how well the vehicle was looked after. You can then know what to look for. If the vehicle was a personal vehicle it was probably more looked after because the previous owner needed the vehicle. It was their form transportation. If it was a rental however, you can’t be so sure. Drivers don’t have as much care with rentals. Thus you know to look closer at the vehicle. Check the wear of the vehicle. If the car was a rental the next question is also very important! 5. Can I have a mechanic look over this car? If the answer to this is anything but an immediate yes—run and run fast! No reputable dealer would deny you the right to have the car inspected. If they give you a hard time about asking this question that should be an immediate red flag. I don’t know about you, but I want my car to be as safe as possible. Buying a new car is a huge investment and if the dealer won’t do everything possible to give you peace of mind then keep on moving. Go to the next dealer and find a car you know you can rely on. Car buying can be a taxing process. Buying a used car can be even scarier. However, there is no reason you can’t master the process. Simply do your research and go in ready to ask questions. Most car salesman have no issues with answering your question. Your peace of mind is their peace of mind. If the customer is happy they are happy. Use Our list of questions as a starting point when gathering information and don’t be afraid to ask any other questions you may have. I hope I was able to offer some help and make your car buying experience a bit easier.